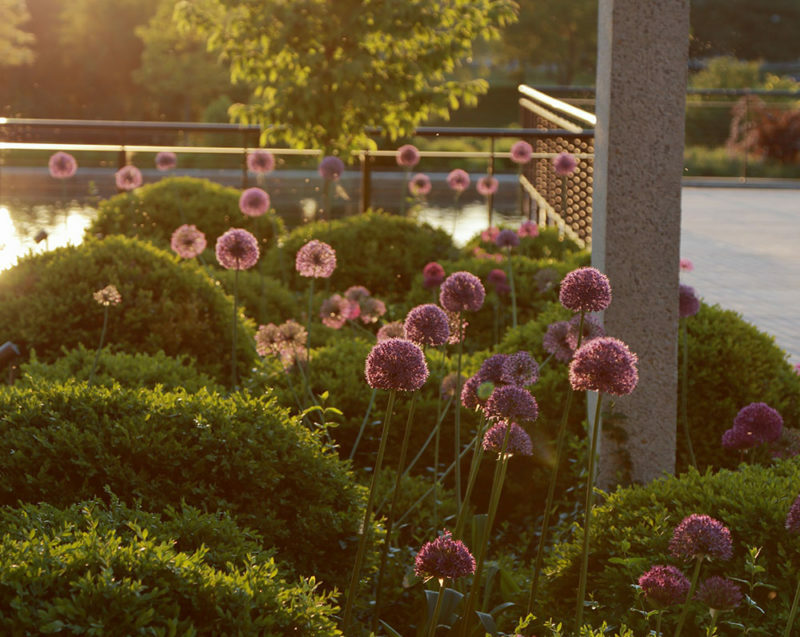 Visitors arrive in the outdoor gardens across the terrace, which offers a one-of-a-kind view of downtown Des Moines, a serene outdoor dining experience and an exhibition space for the Botanical Garden’s historic bonsai collection. The café terrace is made possible through the generosity of Meredith Corporation Foundation. The bonsai terrace is made possible through the generosity of the Edwin T. Meredith Foundation.